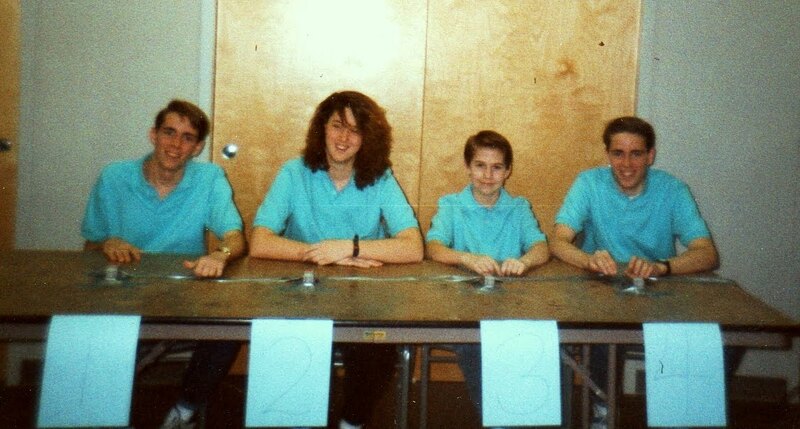 Last weekend marked 20 years since my second championship in a church Bible memorization competition called "Bible Bowl". Ironically, on Sunday as a lay reader at church, I ended up reading a passage from Acts 2 that I had memorized one of those years that I competed. "Parthians, Medes and Elamites...". The connection made me a little nostalgic for this quirky chapter in my life, and I thought I'd share some memories of it with you, dear readers. As a pastors' kid who moved around all the time, I wasn't very involved in school activities. Church activities dominated my schedule, and it turns out that my gifts lent themselves to the bloodsport of memorizing scripture and then reciting it or answering quiz questions about it. Bible Bowl was a speed game with three teams of four players each competing to buzz in and answer questions read by the quizmaster. When I started as an eighth or ninth grader, our teams muddled along and always lost at Regionals to this team lead by a guy named Glen Wendt. Spectators tossed around the word "genius" during his reign of terror. 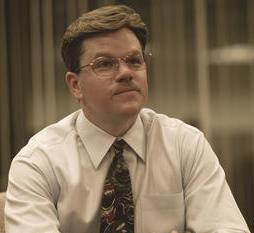 I always thought machine suited him better. He was to Bible Bowl what Pete Sampras was to tennis in their respective primes. The answers came out, but there was little emotion. Sweater vests? Yes. Gold-framed glasses? Yes. Emotion? No. The summer before junior year of high school, I moved from Pittsburgh to New Jersey. I had few friends and a new crop of competition for Bible Bowl. We were in a different region, and the Wendt Machine had either aged out of Bible Bowl, or at least we wouldn't face him until Territorials (the big championship). I lost track of the dude because I never really knew him, and I honestly don't know if I ever faced him in those later years. What I did do - lacking a social life - was get very good at Bible Bowl. All of the standard questions and bonus verse memorization questions came from a designated book or a few books of the Bible per year. On a team of four, we'd then divide the designated book(s) among us, memorizing verses and drilling on questions. I read my sections every morning at breakfast, reading as far as I could while I ate my cereal and then picking up the loop where I'd stopped the next day. I quickly became the anchor for my team and - cockily - started memorizing some of the bonus verses in my teammates' sections. (The author is on the right, braced for competition in the photo). This would make a better story if I could remember specific competitions that year, especially the important ones at regionals and territorials. I can't remember enough details for that, but I can offer a few vignettes. We always did a "systems check" before competition to ensure that everyone's buzzer was working properly. One time, bored with the proceedings, I brought a realistic looking water gun (when one could still buy one), pointed the gun in the air and conducted the systems check with the point of the barrel. In intense anxiety situations, I always puked in my youth. Before the first Territorial championship that I won, I did have to bolt out a side door and find an out-of-the-way spot across the parking lot to empty my nervous guts. My coach came and found me and inquired as to my health. I honestly said that I was fine and felt much better. Also, I skipped prom to compete in the Territorial championships, twice. There wasn't definitely a girl who would have gone with me had I asked, so it kind of solved a problem for me to have "something better to do" on those nights. My brother - better with the ladies but worse at bonus questions than I - drove from the second championship to the tail end of senior prom, where he relieved his date's older brother of stand-in date duty. Finally, I remember the delirious joy of winning at something I'd worked so hard at with my teammates. Accomplishing the ultimate goal after working hard and focusing on it for months at a time provided an awesome feeling of satisfaction. I really thought I knew all about Bible Bowl... but no, there was more! Thanks. I enjoyed reading this. That is awesome. Love those aqua shirts!